One of the first and foremost tips on how to buy gold bullion is to consider your investment goals. Most gold bullion dealers charge more for certain types of bullion, such as coins. If you want a gold investment that you can hold then coins are ideal, but if you want to buy large amounts it is a good idea to buy gold bullion bars instead. Gold bullion prices stay the same no matter how much you buy, but the more you purchase at once the lower your additional fees will be, including the markup. Bulk purchases receive a lower rate from the seller normally. An added bonus for an over-sized purchase is also free same day shipping. Understanding precious metals market means you need to consider the resale value. Some large bars may be hard to sell, because there are fewer buyers willing or able to buy such a large amount. This makes them less liquid, and possibly less attractive to many investors. In addition, some bars may need additional assay services which may cost you extra fees. Learning how to buy gold bullion means looking for options at the lowest possible margins, so you get the best price. If you are buying a substantial amount of bullion you will usually be charged a lower markup, and some bullion dealers charge a higher margin than others. It’s helpful to know that some very popular coins carry substantially higher premium charges though they contain the same amount of gold metal. Once you know how to buy gold bullion you need to think about your storage options. If you are going to buy just a few coins you may want to keep them at home, but if you are going to buy any quantity of bullion you will want to have it securely stored. Keep this in mind when you make your purchase. Online dealers like Bullion Vault, for example, will go as far as providing you with an option of storing your physical coins and bars at secure vaults in Europe or New York saving your the hassle. 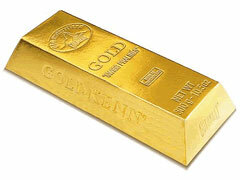 Before you buy gold bullion make sure you verify the quality and purity of the bullion. This will keep you from falling victim to any fraud or scams. Still looking for an answer for question where to buy gold bullion? Understanding this means only using sellers that are reputable and can be trusted. There are many online gold dealers who have been around for many years, and have built a reputation for honesty. Not only they are honest sellers, they will provide an unbiased piece of advice on which products are best suited for your investment goals. Some online dealers offer 24/7 live help to answer your most burning precious metals investment questions.